California Dreams Dance Party – Tickets Are Now Live! 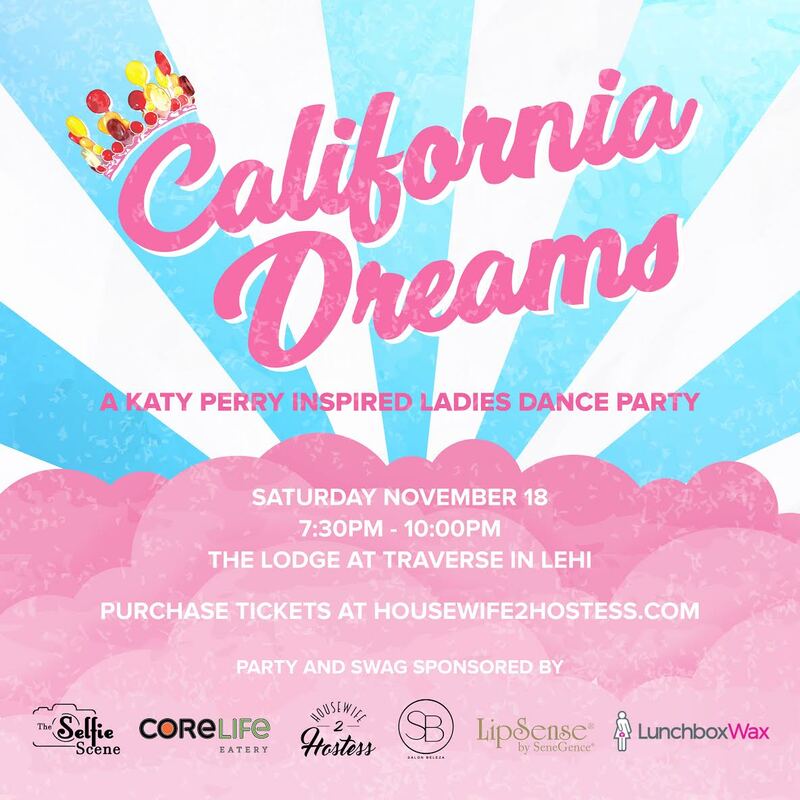 This Ladies-Only Dance Party is for California Gurls ages 18+ who are ready to live their Teenage Dream, become Chained to the Rhythm and party like it’s their “Birthday”. Get Ready to be entertained by multiple “Katy Perry’s” at the #CaliforniaDreamsDanceParty ! DRESS CODE: Think bright colors, jewel tones, Katy Perry inspired looks, and candy-inspired looks. The most important thing is Dressin’ Up in something that makes you feel like you can DANCE. THE GLOW AWARDS: I am SO excited to present the Second H2H “Glow Awards”. For this initiative, we collectively celebrate and honor three VERY deserving and hard working women in our community who need it. If you know an outstanding woman who is ALWAYS serving others, doesn’t spend money on herself, maybe she’s working multiple jobs or going through a rough patch, struggling with health problems, and just needs a little extra love right now. Whatever her story is, let’s give a little something back to her.